Prayers for JJ and his family. I hope he handles the treatments well and can recover quickly. The idea of wins and losses pales in importance to the fight ahead for our coach. Best of luck and many prayers to Jeff and his family. Very sad to hear this about Jeff and his mother. Praying that both of them get better health news in the future. I had it 8 years ago. Elected to have surgery, so far so good, but you never completely relax. I learned that a PSA test that's negative simply means no cancer cells were detected in that one sample. In fact, we all have some cancer cells in our bodies. I'm currently at 15 months. At what point in remission do you start to relax a little? My oncologist said year 2 but has me on a 5 year plan. Did you continue to have testing done after year 5? 2 years is a good bench mark. I still have a PSA done annually now instead of every 6 months. Good luck to you. Courage takes many forms. Jeff and Danielle Jones are displaying enormous courage. All best wishes and encouragement to the Jones family. Prayers to JJ and family. Really sad to hear about this. Awful news. 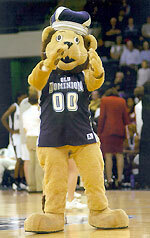 Between this, Joe, and the Liberty game, it has been a turbulent week to be an ODU fan to say the least. So sorry to read about that in the Pilot. Brave man to speak out like he does. Here's to coach Jones hopefully keeping everything under control. It will soon be basketball season and I hope adding up the wins can take his mind off of life's troubles, at least a little. Truly sad news. JJ and Danielle seem to have great perspective in the face of this adversity, and I know we all wish them the best. Wear light blue for the game on Friday. Okay. That makes sense. I am an idiot and will delete. Fellas become proactive if things don't feel right. Cancer doesn't discriminate when it comes to age, gender, race, ethnicity, socio-economic status or healthy lifestyles. I was a relatively healthy and active person in the prime of my life when cancer struck. Thank you for the sage advice and sharing your experience.